Square-Enix announced a few bundle versions that you can pre-order for Kingdom Hearts 3. You can purchase the standard, deluxe or bundle version for PlayStation 4 or Xbox One. 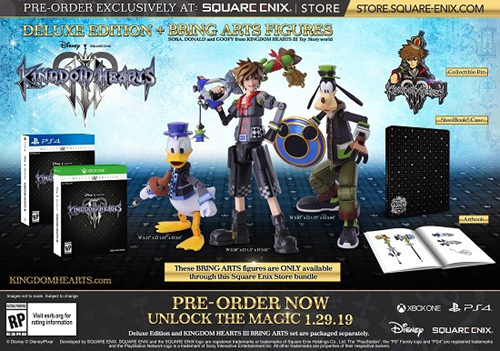 Fans who pre-order the bundle version will receive the physical game, Bring Arts figures, a Sora pin, steel book packaging, and a min art book.